Some Of The Few That Are Not Heavily Processed. The majority of retailers liquidation loads are heavily processed with the most desirable items being removed to be sold off on retail websites like eBay, Amazon.com, Walmart.com, and others. We try to deal in niche loads that are not heavily processed and/or are good due to certain economic or market conditions. Most of these loads will require being on a waiting list. Anyone can get the heavily process loads that are always sitting around waiting to be purchased. Getting the profitable niche loads that are not heavily processed is competitive and sometimes involves a little waiting. Many of the wait times are short. JC Penney has been closing retail locations for a while and all of a sudden a lot of new furniture started showing up in the shelf pull/returns loads than average. 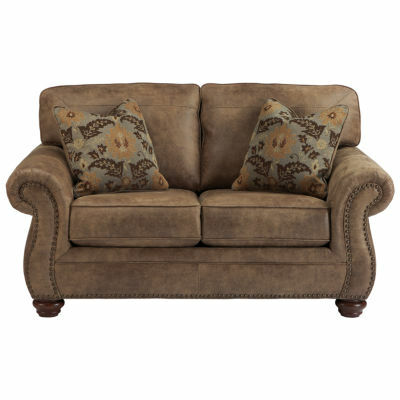 Also many loads with over 50% upholstery which is not common with liquidation furniture loads. The majority of loads of been well above average to excellent. Average wait time two days to three weeks. There are multiple Target Liquidation Programs. Some of them offer excellent unprocessed or lightly processed inventory at reasonable prices. Some of them do not. The loads sold on auction websites can sell for an extremely high percentage of retail. We deal in the programs that are not sold in competitive bidding formats. All prices are fixed and known up front. Amazon.com Large Size, Small Size High-Value, and Small Size Moderate Value. Online returns usually run cleaner than store returns. They usually cost more as well. Unfortunately there are issues with Amazon.com manifests and overstated retail values. Some of the manifested loads cost you a bunch more than you think once you figure in the overstatements. Many of the facilities are busy and they do not manifest the loads. They categorize the loads using categories like smalls or bigs. Some of these loads will have a lot more retail product for the same money is a manifested load but you don't get billed for all of it it since the total retail value is not known. Many of these loads will have much lower cost factors when compared to manifested loads. The small moderate value loads have 26 pallets with a high average piece per pallet count and the condition of it is generally very good. Average wait time two days to seven days. Bed, Bath, and Beyond Internet Division Loads. Online returns are usually cleaner than store returns and these loads are no exception. This is one of the few loads on the market that is loaded with items for the home like housewares, home decor, high end vacuums, China, linens, and more. The majority of the loads are very clean and have a nice assortment of desirable merchandise for the home. Average wait time two days to two weeks. Click here for more information on Bed, Bath, and Beyond loads. These are almost all high-end brands like LG, Samsung, Panasonic, Kitchen Aid, Whirlpool, and more. No cheap Wall Mart junk. The load guidelines call for 80% of the microwaves to be working and in the original manufacturers boxes. Our experiences been closer to 90%. 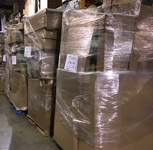 Great loads for wholesaling in pallets of 20 microwaves as well. Best appliance loads we know of hands-down. Great product. Average wait time two days to one week.